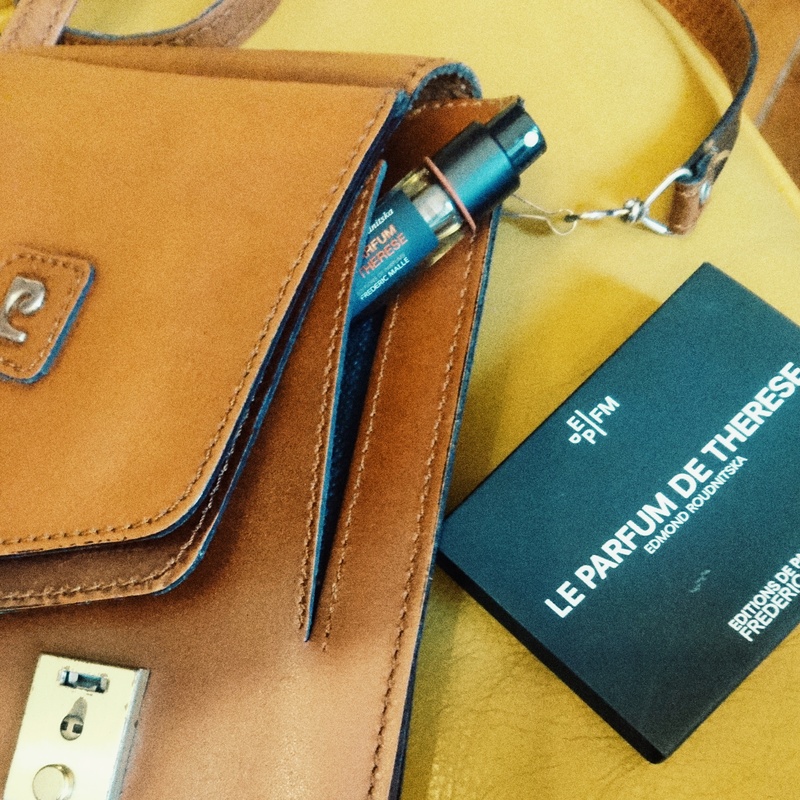 Parfum de Therese – Frederic Malle – J'aime parfum! When I first found out about Frederic Malle, I was visiting the Museum of Perfume in Paris. It had newly opened and my excitement was quite high. There, in one of the rooms, is a display of the most iconic and perhaps evocative perfumes of today. The most interesting and ‘futuristic’ part of this presentation was these perfumes were ‘locked’ inside a small round device, something akin to a heated scent bomb. You would hold it to your nose, it would sense the body heat and enamate the scent from inside. I smelled all of them and the last one said ‘Portrait of a Lady‘. I thought, ‘oh, what a romantic name! This must be from the early 80s, images David Hamilton shot for L’air du temps in my mind. What I smelled was deep, mysterious and highly evocative of nostalgia. I put it back, made a note in my phone of the name for compulsory further research. Much to my surprise, this was no vintage perfume. This one was from this century. The brand was Editions de Parfum by Frederic Malle. Niche perfumery is quite trendy now, as opposed to a decade or two ago when it was actually niche and had that sense of an underdog. Editions de Parfums’ trick is quite neat – mentioning the perfumers name clearly on the bottle, giving credit to the artist as if a couturier would start writing all the names of the modélistes on the haute couture dress besides the label. This idea is refreshing and dignified, inviting people to learn more about perfumery and the art behind it. Being a lover of Dior’s perfumes from the previous century, I knew Edmond Roudnitska was the mastermind behind everything from Diorissimo to Eau Sauvage. My pick from his collection is Diorella and that has been mentioned in a previous post (here!). My natural inclination was to jump at the chance to smell the perfume that had his name in the Editions de Parfums because it was compared to Diorella, big time. It’s called Parfum de Therese and it is beautiful. The story goes that Therese was Edmond’s wife for whom he created this scent in the 50s. To think of it, the 50s and this scent are worlds apart. There was No. 5 and Joy reigning in those days and here was this fruity, chypre gem which smelled literally like no commercially available scent at the time, worn only by Therese. Perhaps the gifts of being a perfumers spouse… Thus, the recipe was brought back to be aptly titled as it is, a scent by a legendary perfumer enough to further cement his genius of perfume making. I feel this perfume as a warm, luscious concoction of melon and tangerine and a mossy base. The melon and tangerine notes are so profoundly fresh and ripe you could mistake the bottle as fresh fruit. Ambery notes work their magic too, giving it this warm and hot feeling, weirdly at the same time its fresh and no where as deep as Portrait of A Lady. Perhaps that is Edmond’s hallmark: simple perfumes with a very complicated composition. Referencing life, how often simplicity requires more than one thinks. I’ve worn this in freezing winter to lift up the senses, a bit of citrus, a bit of melon, a bit of warmth. I know for sure for the drooling heat of summer, this one possesses that chamelion quality of being wearable even then as the tangerine and melon will remind one of the summer days when you peel the fruit, squeeze its skin – nature in its raw form. At least the ones who grew up in hot weather like I did. In monetary terms, it wasn’t a fortunate thing to have found an alternative for vintage Diorella. This stuff sells for more than boxed and unused bottles of Diorella from the 90s and before. But as mentioned before, Parisian departmental stores are flooded with niche perfumery and there is usually a EDP counter and there sit Portrait, Therese along with other joys such as Eau de Magnolia. So giving it a try is much more within reach unless you can happily spend some $300 on a 100ml bottle.